Click to open Web Gallery of Art image. Click again for extra large view. Contemporary analysis sees Jesus’ action as an attack on Temple political practice itself, not money-changing per se. Money-changing was necessitated by the required ritual sacrifice by pilgrims. 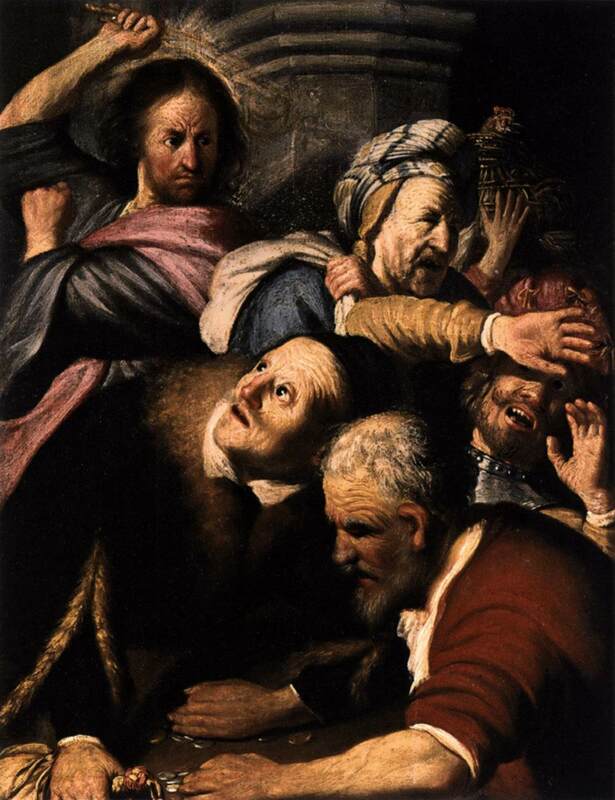 In Christian art whips, flying coins, overturned tables and fleeing Jews make for exciting images and reinforce prejudicial Jewish stereotypes.